Find Out How To Stop Your Wheezing, Attacks, Dependence Of Pumps And Shortness Of Breath In 6 Months Or Less. Most of the above systems are caused by the house dust-mite. In fact, not the actual dust-mite, but the dust-mite faeces. I tell show you how you can easily eliminate dust-mites therefore the asthma and allergies they cause, in 6 months or less. By following these 7 easy steps I show you, you will wonder why you have been suffering the symptoms of asthma and allergies for so long. Now let’s quickly clear up one myth: You DO NOT get rid of dust-mites and allergies by ripping out your carpets. In fact, you could be making it worse! Independent tests have consistently shown there are more dust-mite allergens in the air of rooms without carpets, then rooms with carpets. 1. Professionally clean and dust-mite elimination treatment and protection of all bedrooms and possibly mattresses. 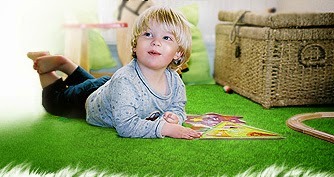 It is true carpets absorb airborne allergens. But this is a good thing because the allergens are better in the carpet, then in the air where we breath them in. Unfortunately hard floors do not absorb allergens so the allergens stay in the air for us to breath in. By professionally cleaning the carpets you remove the allergens and dust-mites with the correct treatments. 2. Air bedroom with good ventilation. Dust-mites hate fresh air but they love warn humid conditions. Simply by opening the windows for up to 60 minutes a day (or as long as you can) will eliminate the majority of dust-mites. Also pull the bedding and sheets back to ‘air’ the bed each day. 3. Buy allergy pillow cases or launder your existing ones. Pillow cases more than 6 months old should be laundered. Dust-mites love the conditions of pillows which makes the perfect breeding ground for them. Fight against this by purchasing allergy pillow cases or regularly laundering the pillows to get rid of the dust-mites. Don’t under estimate the importance of vacuuming. You remove 70-80% of dust and soil in the carpet each time you vacuum. Try to use a vacuum cleaner with a HEPA filter. 5. Regular changing of bedding sheets (minimum 1 a month). Again, don’t let the dust-mites get comfortable, by regularly changing the bedding you will keep the dust-mites at bay. Not only will this keep your mattress in better condition and more supportive but again with the method above will prevent dust mites from living in the same liveable conditions. The dry high temperature when using electric blankets will ‘dry-out’ the dust-mites and prevent them from surviving in these hot, dry conditions. Would you like local help in the implementation of the above plan and further information? 3. Why asthma has been on the increase. 4. Why doctors and large drug companies have not got a cure for asthma. 5. 2 steps to instantly relieve asthma in 24 hours using no drugs or pumps. 6. The 8 step system to stop asthma completely in 6 months or less. 7. How you can prevent asthma forever. 8. Plus much much more. You can also arrange a free consultation where I will take you step by step through my Asthma Care Programme that is proven to eliminate the cause of Asthma and stop asthma in less than 6 months.